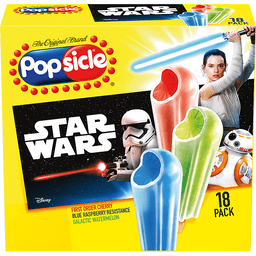 Artificial flavor and color added. Mayfield Dairy Farms has been producing top quality products since 1923. 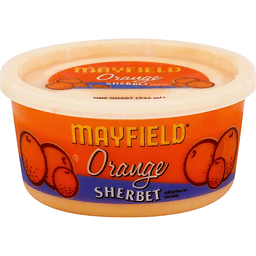 We unconditionally guarantee every product bearing the Mayfield brand name. 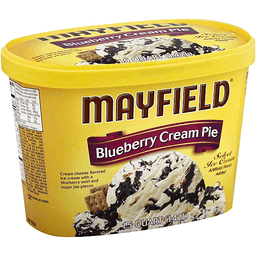 If you have any questions about this product or any other product, please contact us: Mayfield Dairy Farms Consumer Affairs PO Box 310 Athens, TN 37371-0310. 1-800-MAYFIELD. Vanilla frozen yogurt with peanut butter cups and famous Moose Tracks fudge. Moose Tracks and Denali are registered trademarks of Denali Flavors, Inc. Mayfield Dairy Farms has been producing top quality products since 1923. 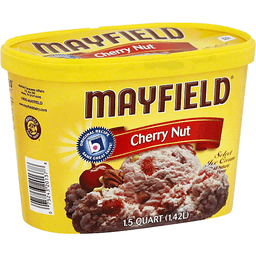 We unconditionally guarantee every product bearing the Mayfield name. www.mayfielddairy.com. Vanilla ice cream with peanut butter cups and famous Moose Tracks fudge. All natural flavor. Made with fresh cream from our dairy. No artificial growth hormones in our cream & milk (Our farmers pledge no artificial growth hormones in our cream & milk. No significant difference has been shown in milk from cows treated with the artificial growth hormone rBST and non-rBST treated cows). Est 1923. A Family Tradition Since 1923: Ever since my grandfather T.B. Mayfield shared his first scoops of ice cream with our family and friends in 1923, our passion for making only the finest quality ice cream has never been wavered. - Scottie Mayfield. Genuine Southern Homemade Taste: If there's one thing that's sacred in the South, it's a good recipe. For three generations, we've worked to perfect ours. We start with fresh cream from our dairy and ingredients from people we trust to deliver us only their best. Then, our time honored slow-batch process gently brings these ingredients together to create that rich creamy taste you can't find anywhere else. The Southern Way: Slowing down to spend time with family, friends, and neighbors over a bowl of creamy Mayfield ice cream has been a beloved tradition for generations of southern families. We sincerely hope that celebrating life's special moments with Mayfield becomes a part of your family's traditions. One of our most popular varieties. Peanut butter cups and Moose Tracks fudge are blended into our signature vanilla ice cream for an indulgent taste experience like no other. Our Doors Are Always Open: Nothing gives us more pleasure than sharing our ice cream with our family and friends. If you're ever in the area we invite you to come visit our original creamery in Athens, Tennessee to see (and taste) what makes Mayfield ice cream so special. We look forward to seeing you. For more details please visit us at www.MayfieldCreamery.com. Mayfield Customer Affairs P.O. Box 310 Athens, TN 37371-0310; 1-800-Mayfield. Explore moosetracks.com and follow us on Facebook and Twitter. Artificial flavor added. Made with fresh cream from our dairy. No artificial growth hormones in our cream & milk (Our farmers pledge no artificial growth hormones in our cream & milk. No significant difference has been shown in milk from cows treated with the artificial growth hormone rBST and non-rBST treated cows). Est. 1923. A Family Tradition Since 1923: Ever since my grandfather T.B. Mayfield shared his first scoops of ice cream with our family and friends in 1923, our passion for making only the finest quality ice cream has never wavered. - Scottie Mayfield. Genuine Southern Homemade Taste: If there's one thing that's sacred in the South, it's a good recipe. For three generations, we've worked to perfect ours. We start with fresh cream from our own dairy and ingredients from people we trust to deliver us only their best. Then, our time honored slow-batch process gently brings these ingredients together to create that rich creamy taste you can't find anywhere else. Inspired by the tradition of homemade hand-cranked family recipes. 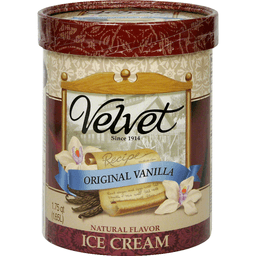 We specially craft our homemade vanilla to deliver a rich creamier texture with an extra hint of sweetness. The Southern Way: Slowing down to spend time with family, friends, and neighbors over a bowl of creamy Mayfield ice cream has been a beloved tradition for generations of southern families. We sincerely hope that celebrating life's special moments with Mayfield becomes a part of your family's traditions. Our Doors Are Always Open: Nothing gives us more pleasure than sharing our ice cream with our family and friends. If you're ever in the area we invite you to come visit our original creamery in Athens, Tennessee to see (and taste) what makes Mayfield ice cream so special. We look forward to seeing you. For more details please visit us at www.MayfieldCreamery.com. Mayfield Customer Affairs P.O. Box 310 Athens, TN 37371-0310; 1-800-Mayfield. Orange, lemon and lime. Artificial flavor and color added. Mayfield Dairy Farms has been producing top quality products since 1923. 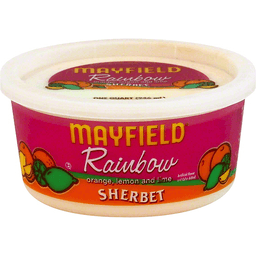 We unconditionally guarantee every product bearing the Mayfield brand name. 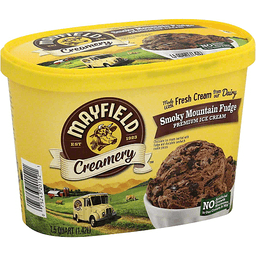 If you have any questions about this product or any other product, please contact us: Mayfield Dairy Farms Consumer Affairs PO Box 310 Athens, TN 37371-0310. 1-800-MAYFIELD. All natural flavor. Made with fresh cream from our dairy. No artificial growth hormones in our cream & milk (Our farmers pledge no artificial growth hormones in our cream & milk. No significant difference has been shown in milk from cows treated with the artificial growth hormones rBST and non-rBST treated cows). Est. 1923. A Family Tradition Since 1923: Ever since my grandfather T.B. Mayfield shared his first scoops of ice cream with our family and friends in 1923, our passion for making only the finest quality ice cream has never wavered. - Scottie Mayfield. Genuine Southern Homemade Taste: If there's one thing that's sacred in the South, it's a good recipe. For three generations, we've worked to perfect ours. We start with fresh cream from our own dairy and ingredients from people we trust to deliver us only their best. Then, our time honored slow-batch process gently brings these ingredients together to create that rich creamy taste you can't find anywhere else. The Southern Way: Slowing down to spend time with family, friends, and neighbors over a bowl of creamy Mayfield ice cream has been a beloved tradition for generations of southern families. We sincerely hope that celebrating life's special moments with Mayfield becomes a part of your family's traditions. A true classic. 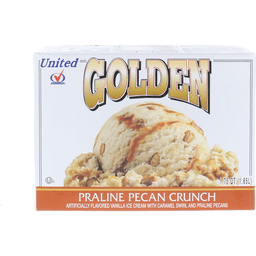 Our Southern Butter Pecan is made with only choice-grade southern grown pecans to provide superior taste and crunch. Our Doors Are Always Open: Nothing gives us more pleasure than sharing our ice cream with our family and friends. If you're ever in the area we invite you to come visit our original creamery in Athens, Tennessee to see (and taste) what makes Mayfield ice cream so special. We look forward to seeing you. For more details please visit us at www.MayfieldCreamery.com. Mayfield Customer Affairs PO Box 310 Athens, TN 37371-0310. Made with fresh cream from our dairy. Est. 1923. No artificial growth hormones in our cream & milk (Our farmers pledge No Artificial Growth Hormones in our cream & milk. No significant difference has been shown in milk from cows treated with the artificial growth hormones rBST and non-rBST treated cows.). A Family Tradition Since 1923: Ever since my grandfather T.B. Mayfield shared his first scoops of ice cream with our family and friends in 1923, our passion for making only the finest quality ice cream has never wavered. - Scottie Mayfield. Genuine Southern Homemade Taste: If there's one thing that's sacred in the South, it's a good recipe. For three generations, we've worked to perfect ours. We start with fresh cream from our own dairy ingredients from people we trust to deliver us only their best. Then, our time honored slow-batch process gently brings these ingredients together to create that rich creamy taste you can't find anywhere else. 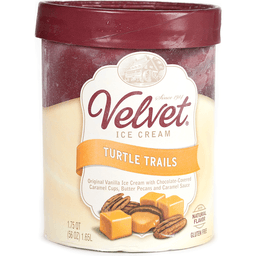 One of our original and still most popular flavors. 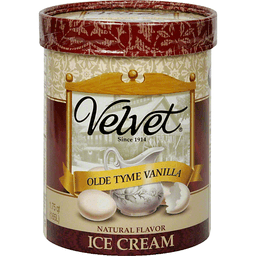 Our chocolate ice cream has stood the test of time. The Southern Way: Slowing down to spend time with family, friends, and neighbors over a bowl of creamy Mayfield ice cream has been a beloved tradition for generations of southern families. We sincerely hope that celebrating life's special moments with Mayfield becomes a part of your family's traditions. Our Doors Are Always Open: Nothing gives us more pleasure than sharing our ice cream with our family and friends. If you're ever in the area we invite you to come visit our original creamery in Athens, Tennessee to see (and taste) what makes Mayfield ice cream so special. We look forward to seeing you. For more details please visit us at www.MayfieldCreamery.com. Mayfield Consumer Affairs: PO Box 310 Athens, TN 37371-0310, 1-800-Mayfield. Made with fresh cream from our dairy. No artificial growth hormones in our cream & milk (Our farmers pledge no artificial growth hormones in our cream & milk. No significant difference has been shown in milk from cows treated with the artificial growth hormone rBST and non-rBST treated cows). Est. 1923. A Family Tradition Since 1923: Ever since my grandfather T.B. Mayfield shared his first scoops of ice cream with our family and friends in 1923, our passion for making only the finest quality ice cream has never wavered. - Scottie Mayfield. Genuine Southern Homemade Taste: If there's one thing that's sacred in the South, it's a good recipe. For three generations, we've worked to perfect ours. We start with fresh cream from our own dairy and ingredients from people we trust to deliver us only their best. Then, our time honored slow-batch process gently brings these ingredients together to create that rich creamy taste you can't find anywhere else. A match made in heaven. 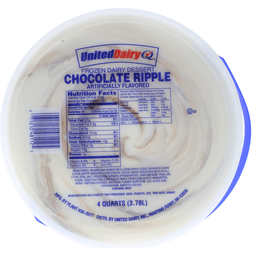 Creamy peanut butter ribbons swirled into a rich chocolate fudge ice cream. The Southern Way: Slowing down to spend time with family, friends, and neighbors over a bowl of creamy Mayfield ice cream has been a beloved tradition for generations of southern families. We sincerely hope that celebrating life's special moments with Mayfield becomes a part of your family's traditions. Our Doors Are Always Open: Nothing gives us more pleasure than sharing our ice cream with our family and friends. If you're ever in the area we invite you to come visit our original creamery in Athens, Tennessee to see (and taste) what makes Mayfield ice cream so special. We look forward to seeing you. For more details please visit us at www.MayfieldCreamery.com. Mayfield Customer Affairs P.O. Box 310 Athens, TN 37371-0310; 1-800-Mayfield. Caramel ice cream with a caramel ribbon & English toffee pieces. Made with fresh cream from our dairy. Est. 1923. All natural flavor. No artificial growth hormones in our cream & milk (Our farmers pledge No Artificial Growth Hormones in our cream & milk. No significant difference has been shown in milk from cows treated with the artificial growth hormones rBST and non-rBST treated cows.). A Family Tradition Since 1923: Ever since my grandfather T.B. Mayfield shared his first scoops of ice cream with our family and friends in 1923, our passion for making only the finest quality ice cream has never wavered. - Scottie Mayfield. Genuine Southern Homemade Taste: If there's one thing that's sacred in the South, it's a good recipe. For three generations, we've worked to perfect ours. We start with fresh cream from our own dairy ingredients from people we trust to deliver us only their best. Then, our time honored slow-batch process gently brings these ingredients together to create that rich creamy taste you can't find anywhere else. Caramel ice cream, a caramel ribbon, and English toffee pieces. A triple caramel delight for the caramel lover that lives within us all. The Southern Way: Slowing down to spend time with family, friends, and neighbors over a bowl of creamy Mayfield ice cream has been a beloved tradition for generations of southern families. We sincerely hope that celebrating life's special moments with Mayfield becomes a part of your family's traditions. Our Doors Are Always Open: Nothing gives us more pleasure than sharing our ice cream with our family and friends. If you're ever in the area we invite you to come visit our original creamery in Athens, Tennessee to see (and taste) what makes Mayfield ice cream so special. We look forward to seeing you. 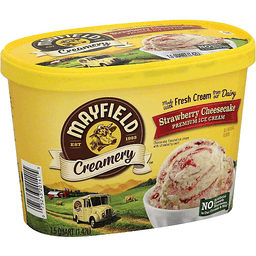 For more details please visit us at www.MayfieldCreamery.com. Mayfield Consumer Affairs: PO Box 310 Athens, TN 37371-0310, 1-800-Mayfield. 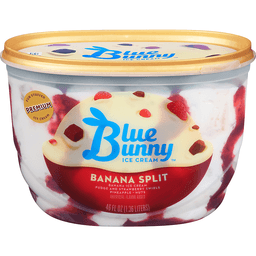 Banana ice cream accented with pineapple, pecans and cherries, swirled with rich fudge syrup. Made with fresh cream from our dairy. No artificial growth hormones in our cream & milk (Our farmers pledge no artificial growth hormones in our cream & milk. No significant difference has been shown in milk from cows treated with the artificial growth hormone rBST and non-rBST treated cows). Est. 1923. A Family Tradition Since 1923: Ever since my grandfather T.B. 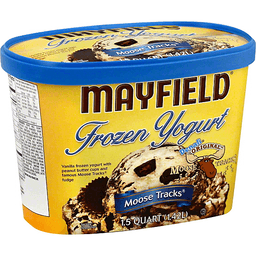 Mayfield shared his first scoops of ice cream with our family and friends in 1923, our passion for making only the finest quality ice cream has never wavered. - Scottie Mayfield. Genuine Southern Homemade Taste: If there's one thing that's sacred in the South, it's a good recipe. For three generations, we've worked to perfect ours. We start with fresh cream from our own dairy and ingredients from people we trust to deliver us only their best. Then, our time honored slow-batch process gently brings these ingredients together to create that rich creamy taste you can't find anywhere else. This iconic ice cream parlor treat comes to life with our special blend of pineapple, pecans, cherries, and banana ice cream. Topped with a rich fudge swirl it's hard to resist. The Southern Way: Slowing down to spend time with family, friends, and neighbors over a bowl of creamy Mayfield ice cream has been a beloved tradition for generations of southern families. We sincerely hope that celebrating life's special moments with Mayfield becomes a part of your family's traditions. Our Doors Are Always Open: Nothing gives us more pleasure than sharing our ice cream with our family and friends. If you're ever in the area we invite you to come visit our original creamery in Athens, Tennessee to see (and taste) what makes Mayfield ice cream so special. We look forward to seeing you. For more details please visit us at www.MayfieldCreamery.com. Mayfield Customer Affairs P.O. Box 310 Athens, TN 37371-0310; 1-800-Mayfield. 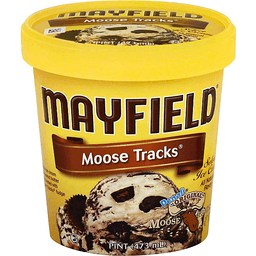 Rich chocolate ice cream with Moose Tracks fudge-filled cups and famous Moose Tracks fudge. Made with fresh cream from our dairy. Est. 1923. No artificial growth hormones in our cream & milk (Our farmers pledge No Artificial Growth Hormones in our cream & milk. No significant difference has been shown in milk from cows treated with the artificial growth hormones rBST and non-rBST treated cows.). Denali Extreme! A Family Tradition Since 1923: Ever since my grandfather T.B. Mayfield shared his first scoops of ice cream with our family and friends in 1923, our passion for making only the finest quality ice cream has never wavered. - Scottie Mayfield. Genuine Southern Homemade Taste: If there's one thing that's sacred in the South, it's a good recipe. For three generations, we've worked to perfect ours. We start with fresh cream from our own dairy ingredients from people we trust to deliver us only their best. Then, our time honored slow-batch process gently brings these ingredients together to create that rich creamy taste you can't find anywhere else. 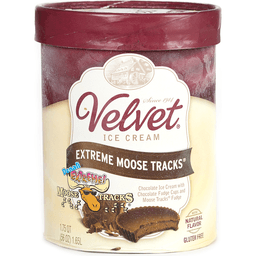 Moose Tracks reimagined for the chocolate lover. 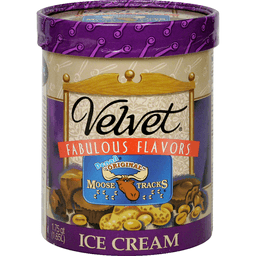 We start with our chocolate ice cream and mix in Moose Tracks Fudge Swirl for a triple chocolate sensation. The Southern Way: Slowing down to spend time with family, friends, and neighbors over a bowl of creamy Mayfield ice cream has been a beloved tradition for generations of southern families. We sincerely hope that celebrating life's special moments with Mayfield becomes a part of your family's traditions. Our Doors Are Always Open: Nothing gives us more pleasure than sharing our ice cream with our family and friends. If you're ever in the area we invite you to come visit our original creamery in Athens, Tennessee to see (and taste) what makes Mayfield ice cream so special. We look forward to seeing you. For more details please visit us at www.MayfieldCreamery.com. Mayfield Consumer Affairs: PO Box 310 Athens, TN 37371-0310, 1-800-Mayfield. Explore Moosetracks.com and follow us on Facebook and Twitter. Chocolate ice cream with marshmallow swirl & almonds. Artificial flavor added. Made with fresh cream from our dairy. No artificial growth hormones in our cream & milk (Our farmers pledge no artificial growth hormones in our cream & milk. No significant difference has been shown in milk from cows treated with the artificial growth hormone rBST and non-rBST treated cows). Est. 1923. A Family Tradition Since 1923: Ever since my grandfather T.B. Mayfield shared his first scoops of ice cream with our family and friends in 1923, our passion for making only the finest quality ice cream has never wavered. - Scottie Mayfield. Genuine Southern Homemade Taste: If there's one thing that's sacred in the South, it's a good recipe. For three generations, we've worked to perfect ours. We start with fresh cream from our own dairy and ingredients from people we trust to deliver us only their best. Then, our time honored slow-batch process gently brings these ingredients together to create that rich creamy taste you can't find anywhere else. Our chocolate ice cream swirled with marshmallow and almond pieces. 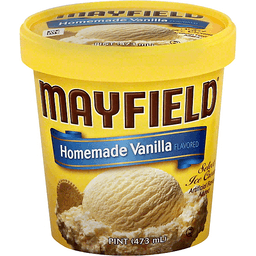 A classic ice cream variety made better by Mayfield. The Southern Way: Slowing down to spend time with family, friends, and neighbors over a bowl of creamy Mayfield ice cream has been a beloved tradition for generations of southern families. We sincerely hope that celebrating life's special moments with Mayfield becomes a part of your family's traditions. Our Doors Are Always Open: Nothing gives us more pleasure than sharing our ice cream with our family and friends. If you're ever in the area we invite you to come visit our original creamery in Athens, Tennessee to see (and taste) what makes Mayfield ice cream so special. We look forward to seeing you. For more details please visit us at www.MayfieldCreamery.com. Mayfield Customer Affairs P.O. Box 310 Athens, TN 37371-0310; 1-800-Mayfield. Chocolate ice cream swirled with fudge and chocolate sandwich cookie pieces. Made with fresh cream from our dairy. No artificial growth hormones in our cream & milk (Our farmers pledge no artificial growth hormones in our cream & milk. No significant difference has been shown in milk from cows treated with the artificial growth hormone rBST and non-rBST treated cows). Est. 1923. A Family Tradition Since 1923: Ever since my grandfather T.B. 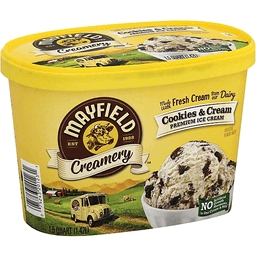 Mayfield shared his first scoops of ice cream with our family and friends in 1923, our passion for making only the finest quality ice cream has never wavered. - Scottie Mayfield. Genuine Southern Homemade Taste: If there's one thing that's sacred in the South, it's a good recipe. For three generations, we've worked to perfect ours. We start with fresh cream from our own dairy and ingredients from people we trust to deliver us only their best. Then, our time honored slow-batch process gently brings these ingredients together to create that rich creamy taste you can't find anywhere else. For generations the smoky mountain region has been known for great tasting fudge. We proudly celebrate this heritage with this delicious blend of our chocolate ice cream, fudge and chocolate cookie pieces. The Southern Way: Slowing down to spend time with family, friends, and neighbors over a bowl of creamy Mayfield ice cream has been a beloved tradition for generations of southern families. We sincerely hope that celebrating life's special moments with Mayfield becomes a part of your family's traditions. Our Doors Are Always Open: Nothing gives us more pleasure than sharing our ice cream with our family and friends. If you're ever in the area we invite you to come visit our original creamery in Athens, Tennessee to see (and taste) what makes Mayfield ice cream so special. We look forward to seeing you. For more details please visit us at www.MayfieldCreamery.com. Mayfield Customer Affairs P.O. Box 310 Athens, TN 37371-0310; 1-800-Mayfield. All natural flavor. Made with fresh cream from our dairy. No artificial growth hormones in our cream & milk (Our farmers pledge no artificial growth hormones in our cream & milk. No significant difference has been shown in milk from cows treated with the artificial growth hormone rBST and non-rBST treated cows). Est. 1923. A Family Tradition Since 1923: Ever since my grandfather T.B. Mayfield shared his first scoops of ice cream with our family and friends in 1923, our passion for making only the finest quality ice cream has never wavered. - Scottie Mayfield. Genuine Southern Homemade Taste: If there's one thing that's sacred in the South, it's a good recipe. For three generations, we've worked to perfect ours. We start with fresh cream from our own dairy and ingredients from people we trust to deliver us only their best. 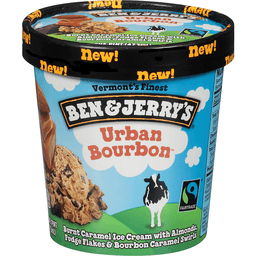 Then, our time honored slow-batch process gently brings these ingredients together to create that rich creamy taste you can't find anywhere else. We believe the secret to a great mint chocolate chip ice cream is to ensure a rich chocolatey taste with a cool mint blast in every bite, that's why ours has been beloved for generations. The Southern Way: Slowing down to spend time with family, friends, and neighbors over a bowl of creamy Mayfield ice cream has been a beloved tradition for generations of southern families. We sincerely hope that celebrating life's special moments with Mayfield becomes a part of your family's traditions. Our Doors Are Always Open: Nothing gives us more pleasure than sharing our ice cream with our family and friends. If you're ever in the area we invite you to come visit our original creamery in Athens, Tennessee to see (and taste) what makes Mayfield ice cream so special. We look forward to seeing you. For more details please visit us at www.MayfieldCreamery.com. Mayfield Customer Affairs P.O. Box 310 Athens, TN 37371-0310; 1-800-Mayfield. Made with fresh cream from our dairy. Est. 1923. All natural flavor. No artificial growth hormones in our cream & milk (Our farmers pledge No Artificial Growth Hormones in our cream & milk. No significant difference has been shown in milk from cows treated with the artificial growth hormones rBST and non-rBST treated cows.). A Family Tradition Since 1923: Ever since my grandfather T.B. Mayfield shared his first scoops of ice cream with our family and friends in 1923, our passion for making only the finest quality ice cream has never wavered. - Scottie Mayfield. Genuine Southern Homemade Taste: If there's one thing that's sacred in the South, it's a good recipe. For three generations, we've worked to perfect ours. We start with fresh cream from our own dairy ingredients from people we trust to deliver us only their best. Then, our time honored slow-batch process gently brings these ingredients together to create that rich creamy taste you can't find anywhere else. Made with real eggs, our French Vanilla's golden color and full aroma deliver our riches, most indulgent vanilla experience. The Southern Way: Slowing down to spend time with family, friends, and neighbors over a bowl of creamy Mayfield ice cream has been a beloved tradition for generations of southern families. We sincerely hope that celebrating life's special moments with Mayfield becomes a part of your family's traditions. Our Doors Are Always Open: Nothing gives us more pleasure than sharing our ice cream with our family and friends. If you're ever in the area we invite you to come visit our original creamery in Athens, Tennessee to see (and taste) what makes Mayfield ice cream so special. We look forward to seeing you. For more details please visit us at www.MayfieldCreamery.com. 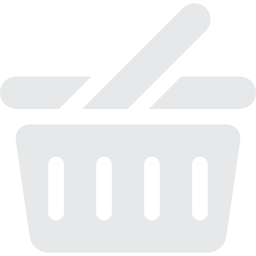 Mayfield Consumer Affairs: PO Box 310 Athens, TN 37371-0310, 1-800-Mayfield. Artificial flavor added. Made with fresh cream from our dairy. No artificial growth hormones in our cream & milk (Our farmers pledge no artificial growth hormones in our cream & milk. No significant difference has been shown in milk from cows treated with the artificial growth hormones rBST and non-rBST treated cows). Est. 1923. A Family Tradition Since 1923: Ever since my grandfather T.B. Mayfield shared his first scoops of ice cream with our family and friends in 1923, our passion for making only the finest quality ice cream has never wavered. - Scottie Mayfield. Genuine Southern Homemade Taste: If there's one thing that's sacred in the South, it's a good recipe. For three generations, we've worked to perfect ours. We start with fresh cream from our own dairy and ingredients from people we trust to deliver us only their best. Then, our time honored slow-batch process gently brings these ingredients together to create that rich creamy taste you can't find anywhere else. The Southern Way: Slowing down to spend time with family, friends, and neighbors over a bowl of creamy Mayfield ice cream has been a beloved tradition for generations of southern families. We sincerely hope that celebrating life's special moments with Mayfield becomes a part of your family's traditions. 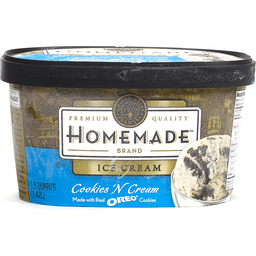 Enjoying a bowl of our chocolate chip cookie dough ice cream brings back warm childhood memories of sampling freshly made cookie dough while making cookies with our loved ones. Our Doors Are Always Open: Nothing gives us more pleasure than sharing our ice cream with our family and friends. If you're ever in the area we invite you to come visit our original creamery in Athens, Tennessee to see (and taste) what makes Mayfield ice cream so special. We look forward to seeing you. For more details please visit us at www.MayfieldCreamery.com. Mayfield Customer Affairs PO Box 310 Athens, TN 37371-0310. Made with fresh cream from our dairy. No artificial growth hormones in our cream & milk (Our farmers pledge no artificial growth hormones in our cream & milk. No significant difference has been shown in milk from cows treated with the artificial growth hormones rBST and non-rBST treated cows). Est. 1923. A Family Tradition Since 1923: Ever since my grandfather T.B. Mayfield shared his first scoops of ice cream with our family and friends in 1923, our passion for making only the finest quality ice cream has never wavered. - Scottie Mayfield. Genuine Southern Homemade Taste: If there's one thing that's sacred in the South, it's a good recipe. For three generations, we've worked to perfect ours. We start with fresh cream from our own dairy and ingredients from people we trust to deliver us only their best. Then, our time honored slow-batch process gently brings these ingredients together to create that rich creamy taste you can't find anywhere else. The Southern Way: Slowing down to spend time with family, friends, and neighbors over a bowl of creamy Mayfield ice cream has been a beloved tradition for generations of southern families. We sincerely hope that celebrating life's special moments with Mayfield becomes a part of your family's traditions. Sometimes the simplest things are the best. Generous portions of almonds mixed with our famous chocolate ice cream. Rich, crunchy, delicious. Our Doors Are Always Open: Nothing gives us more pleasure than sharing our ice cream with our family and friends. If you're ever in the area we invite you to come visit our original creamery in Athens, Tennessee to see (and taste) what makes Mayfield ice cream so special. We look forward to seeing you. For more details please visit us at www.MayfieldCreamery.com. Mayfield Customer Affairs PO Box 310 Athens, TN 37371-0310. 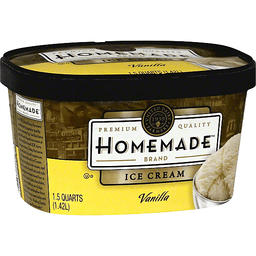 Made from Grandfather Dager's original family recipe using pure vanilla. Natural flavor. All natural flavor. Original Recipe: Same great taste! Mayfield Dairy Farms has been producing top quality products since 1923. We unconditionally guarantee every product bearing the Mayfield name. - Scottie Mayfield. Mayfield Consumer Affairs: PO Box 310 Athens, TN 37371-0310. 1-800-Mayfield. www.mayfielddairy.com. Cheesecake flavored ice cream with strawberry swirl. All natural flavor. Made with fresh cream from our dairy. No artificial growth hormones in our cream & milk (Our farmers pledge no artificial growth hormones in our cream & milk. No significant difference has been shown in milk from cows treated with the artificial growth hormone rBST and non-rBST treated cows). Est. 1923. A Family Tradition Since 1923: Ever since my grandfather T.B. 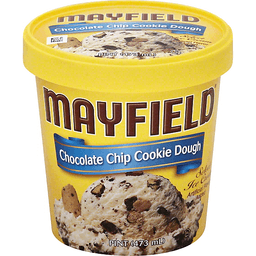 Mayfield shared his first scoops of ice cream with our family and friends in 1923, our passion for making only the finest quality ice cream has never wavered. - Scottie Mayfield. Genuine Southern Homemade Taste: If there's one thing that's sacred in the South, it's a good recipe. For three generations, we've worked to perfect ours. We start with fresh cream from our own dairy and ingredients from people we trust to deliver us only their best. Then, our time honored slow-batch process gently brings these ingredients together to create that rich creamy taste you can't find anywhere else. 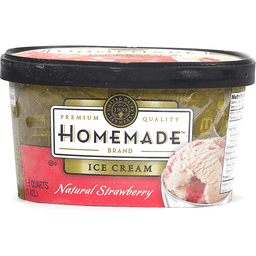 Savory cheesecake flavored ice cream livened up with a swirl of sun-ripened strawberries. The Southern Way: Slowing down to spend time with family, friends, and neighbors over a bowl of creamy Mayfield ice cream has been a beloved tradition for generations of southern families. We sincerely hope that celebrating life's special moments with Mayfield becomes a part of your family's traditions. Our Doors Are Always Open: Nothing gives us more pleasure than sharing our ice cream with our family and friends. If you're ever in the area we invite you to come visit our original creamery in Athens, Tennessee to see (and taste) what makes Mayfield ice cream so special. We look forward to seeing you. For more details please visit us at www.MayfieldCreamery.com. Mayfield Customer Affairs P.O. Box 310 Athens, TN 37371-0310; 1-800-Mayfield. Artificial flavor added. Ice creamier. Mayfield Consumer Affairs: PO Box 310, Athens, TN 37371-0310. 1-800-Mayfield. www.mayfielddairy.com. Orange pineapple ice cream with pieces of pineapple. Made with fresh cream from our dairy. No artificial growth hormones in our cream & milk (Our farmers pledge no artificial growth hormones in our cream & milk. No significant difference has been shown in milk from cows treated with the artificial growth hormones rBST and non-rBST treated cows). Est. 1923. A family tradition since 1923. Ever since my grandfather T.B. Mayfield shared his first scoops of ice cream with our family and friends in 1923, our passion for making only the finest quality ice cream has never wavered. - Scottie Mayfield. Genuine Southern Homemade Taste: If there's one thing that's sacred in the South, it's a good recipe. For three generations, we've worked to perfect ours. We start with fresh cream from our own dairy and ingredients from people we trust to deliver us only their best. Then, our time honored slow-batch process gently brings these ingredients together to create that rich creamy taste you can't find anywhere else. Crisp pineapple pieces abound in our famous orange pineapple ice cream. Previously a limited time offering and now a part of our everyday lineup at the request of our loyal fans. The Southern Way: Slowing down to spend time with family, friends, and neighbors over a bowl of creamy Mayfield ice cream has been a beloved tradition for generations of southern families. We sincerely hope that celebrating life's special moments with Mayfield becomes a part of your family's traditions. Our Doors Are Always Open: Nothing gives us more pleasure than sharing our ice cream with our family and friends. If you're ever in the area we invite you to come visit our original creamery in Athens, Tennessee to see (and taste) what makes Mayfield ice cream so special. We look forward to seeing you. For more details please visit us at www.MayfieldCreamery.com. Mayfield Consumer Affairs, PO Box 310, Athens, TN 37371-0310, 1-800-Mayfield. 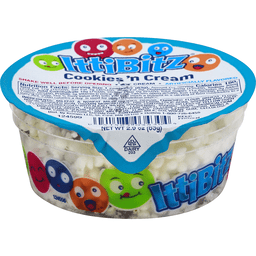 Cream cheese flavored ice cream with a blueberry swirl and sugar pie pieces. Artificial flavor added. Mayfield Dairy Farms has been producing top quality products since 1923. We unconditionally guarantee every product bearing the Mayfield name. - Scottie & Rob Mayfield. 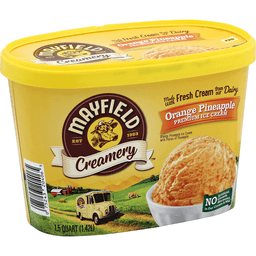 www.mayfielddairy.com. 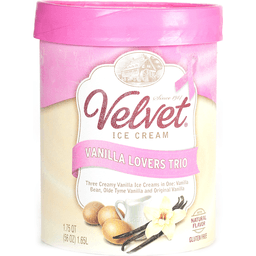 Three Delicious Layers: Vanilla Bean, Old Tyme Vanilla and Original Vanilla. Natural flavor. Have a lactose sensitivity? No problem! Try our Breyers Lactose Free Chocolate! It's the same great chocolate, just without the lactose*! A creamy, delicious dessert made with real cocoa. That smooth creamy taste is in part thanks to our 100% Grade A milk and cream from American cows now treated with artificial growth hormones**. Mixed together with rich cocoa – makes that delicious Breyers Chocolate that you know and love. We believe that the quality of our ingredients makes the delicious chocolate desserts, and that's why we follow the spirit of William Breyer's Pledge of Purity, which he started in 1866. Back in his day, he made a stand to use only the best milk, cream, sugar, and fruit in his ice cream in Philadelphia. He would not compromise quality, and now more than 150 years later, we still follow his philosophy. 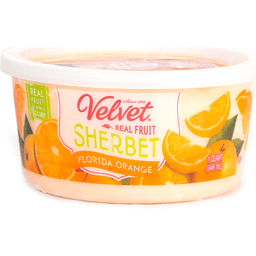 We pledge to use only high quality ingredient like colors and flavors from natural sources, fresh cream, sugar and milk, and sustainably farmed fruit and vanilla. Try our Breyers Lactose Free Vanilla and see if you agree! Leave us a review at www.breyers.com or follow us @Breyers on Instagram! *99% Lactose Free ** The FDA states that no significant difference has been shown between dairy derived from rBST-treated and non-rBST-treated cows. Have a lactose sensitivity? No problem! Try our Breyers Lactose Free* Chocolate! 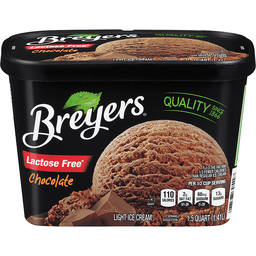 *99% Lactose Free It's the same great chocolate you expect from Breyers, just without the lactose*! 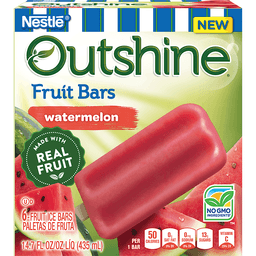 *99% Lactose Free Partnering with American Farmers. 100% Grade A Milk and Cream. Made in accordance to our Breyers Pledge, starting with high quality ingredients. Flavors and colors from natural sources. Kosher dairy and Gluten Free. All natural flavor. Made with fresh cream from our dairy. No artificial growth hormones in our cream & milk (Our farmers pledge no artificial growth hormones in our cream & milk. No significant difference has been shown in milk from cows treated with the artificial growth hormones rBST and non-rBST treated cows). Est. 1923. A Family Tradition Since 1923: Ever since my grandfather T.B. Mayfield shared his first scoops of ice cream with our family and friends in 1923, our passion for making only the finest quality ice cream has never wavered. - Scottie Mayfield. Genuine Southern Homemade Taste: If there's one thing that's sacred in the South, it's a good recipe. For three generations, we've worked to perfect ours. We start with fresh cream from our own dairy and ingredients from people we trust to deliver us only their best. Then, our time honored slow-batch process gently brings these ingredients together to create that rich creamy taste you can't find anywhere else. The Southern Way: Slowing down to spend time with family, friends, and neighbors over a bowl of creamy Mayfield ice cream has been a beloved tradition for generations of southern families. We sincerely hope that celebrating life's special moments with Mayfield becomes a part of your family's traditions. 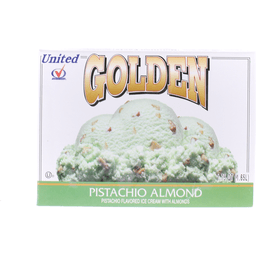 Made with hand-picked, wild grown black walnuts, our ice cream is perfect for nut lovers looking to change things up. Our Doors Are Always Open: Nothing gives us more pleasure than sharing our ice cream with our family and friends. If you're ever in the area we invite you to come visit our original creamery in Athens, Tennessee to see (and taste) what makes Mayfield ice cream so special. We look forward to seeing you. For more details please visit us at www.MayfieldCreamery.com. Mayfield Customer Affairs PO Box 310 Athens, TN 37371-0310. Premium quality. Since 1939. Questions? Comments? Please call 1-800-833-1177. (Refer to printed code on carton bottom). Visit us at www.UDFInc.com. 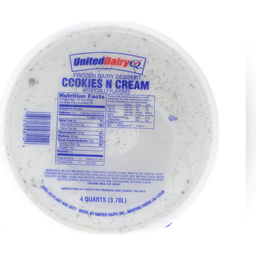 Since 1939, United Dairy Farmers' commitment to superior quality has been unwavering. 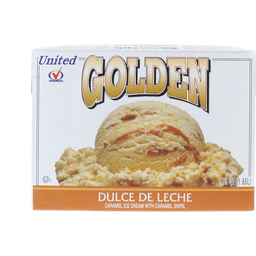 Families have enjoyed hand-dipped ice cream at their neighborhood UDF store for generations. 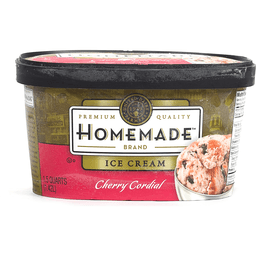 Today, that same great taste is found in premium Homemade Brand Ice Cream. 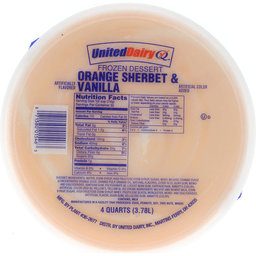 We use only dairy-fresh cream, real vanilla, and the finest fruits and nuts. Our chips are hand mixed from a custom blend of dark chocolates, and we make our own fudge, caramel, and marshmallow from scratch. So enjoy some today and you'll know why - nothing tastes better than homemade. Artificial flavor added. 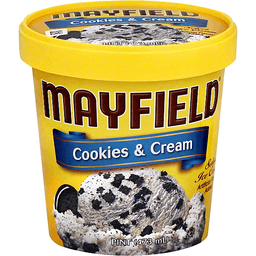 Mayfield Ice Creamier. Mayfield Consumer Affairs PO Box 310 Athens, TN 37371-0310. www.mayfielddairy.com. 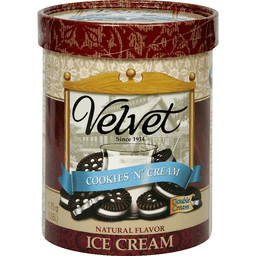 Chunks of our chocolate sandwich cookies in our original vanilla ice cream. Natural flavor. Caramel cheesecake flavored ice cream swirled with sea salt caramel & cheesecake bits. Made with fresh cream from our dairy. No artificial growth hormones in our cream & milk (Our farmers pledge no artificial growth hormones in our cream & milk. No significant difference has been shown in milk from cows treated with the artificial growth hormones rBST and non-rBST treated cows). Est. 1923. A family tradition since 1923. Ever since my grandfather T.B. Mayfield shared his first scoops of ice cream with our family and friends in 1923, our passion for making only the finest quality ice cream has never wavered. - Scottie Mayfield. 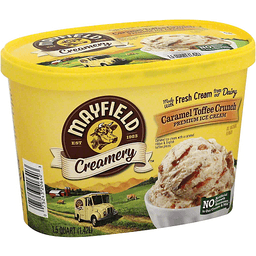 For more details please visit us at www.MayfieldCreamery.com. Mayfield Customer Affairs, PO Box 310, Athens, TN 37371-0310; 1-800-Mayfield. Vanilla ice cream with peanut butter cups and famous moose tracks fudge. French custard made with eggs and pure Madagascar vanilla. Natural flavor. 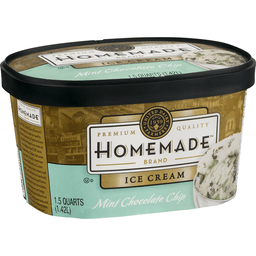 United Dairy Farmers Homemade™ Brand Mint Chocolate Chip Ice Cream. Since 1939. Premium quality. 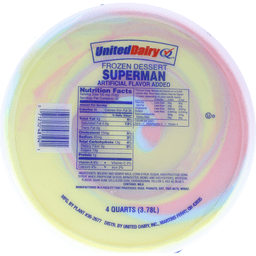 Since 1939, United Dairy Farmers' commitment to superior quality has been unwavering. 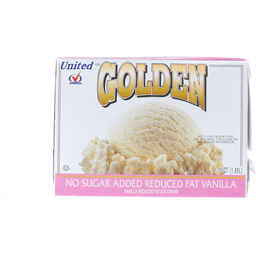 Families have enjoyed hand-dipped ice cream at their neighborhood UDF store for generations. 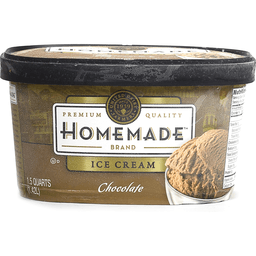 Today, that same great taste is found in premium Homemade Brand Ice Cream. 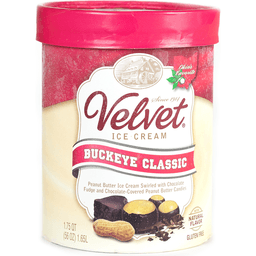 We use only dairy-fresh cream, real vanilla, and the finest fruits and nuts. Our chips are hand mixed from a custom blend of dark chocolates, and we make our own fudge, caramel, and marshmallow from scratch. So enjoy some today and you'll know why - nothing tastes better than homemade. Questions Comments Please call 1-800-833-1177 (refer to printed code on carton bottom). Visit us at www.udfinc.com. Est. 1923. Made with fresh cream from out dairy. Lemon ice cream with lemon flavored snaps and graham pieces. Artificial flavor added. No artificial growth hormones in our cream and milk (Our farmers pledge no artificial growth hormones in our cream & milk. No significant difference has been shown in milk from cows treated with the artificial growth hormone rBST and non-rBST treated cows.). A Family Tradition Since 1923: Ever since my grandfather T.B. Mayfield shared his first scoops of ice cream with our family and friends in 1923, our passion for making only the finest quality ice cream has never wavered. Scottie Mayfield. Genuine Southern Homemade Taste: If there's one thing that's sacred in the South, it's a good recipe. For three generations, we've worked to perfect ours. We start with fresh cream from our own dairy and ingredients from people we trust to deliver us only their best. Then our time honored slow-batch process gently brings these ingredients together to create that rich creamy taste you can't find anywhere else. 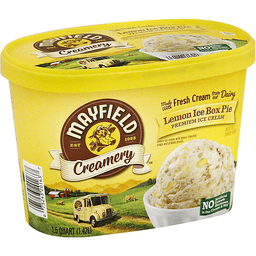 Lemon Ice Box Pie Premium Ice Cream: Cool and refreshing, our Lemon Ice Box Pie delivers a delightful snap of real lemon flavor with a graham cracker crust. 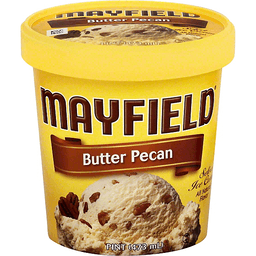 A classic southern dessert re-invented as a uniquely Mayfield ice cream. 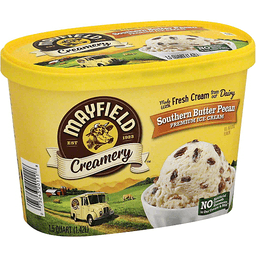 The Southern Way: Slowing down to spend time with family, friends, and neighbors over a bowl of creamy Mayfield ice cream has been a beloved tradition for generations of southern families. We sincerely hope that celebrating life's special moments with Mayfield becomes a part of your family's traditions. Our Doors Are Always Open: Nothing gives us more pleasure than sharing our ice cream with our family and friends. If you're ever in the area we invite you to come visit our original creamery in Athens, Tennessee to see (and taste) what makes Mayfield ice cream so special. We look forward to seeing you. 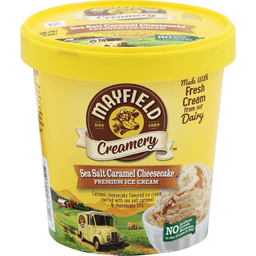 For more details please visit us at www.MayfieldCreamery.com. 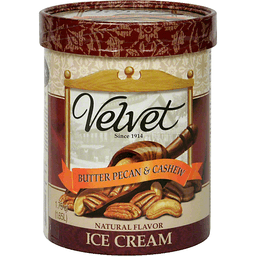 Butter-roasted pecans and cashews in our original vanilla ice cream. Natural flavor. Made with smooth, rich Dutch chocolate. Natural flavor. 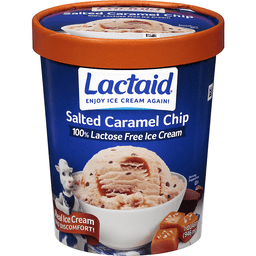 Rich & CreamyAlways Easy to Digest!Lactaid® Salted Caramel Chip Ice Cream is delicious, rich and creamy, because it's made with only the finest ingredients. 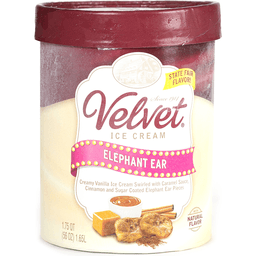 And best of all, it's made with lactose free milk and cream, so it is naturally easy to digest.Now, you can enjoy ice cream without a second thought. Enjoy Ice Cream Again! 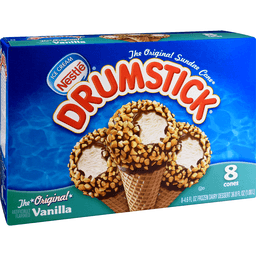 Real Ice Cream, No Discomfort! New. Eat, close, repeat. Cheesecake reduced fat ice cream topped with strawberry sauce and graham crunch covered with cream cheese flavored coating drizzled with strawberry flavored ribbon. 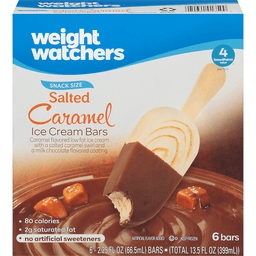 Ice cream fat reduced 30% from regular ice cream, from 10 g to 7 g per 100 g. See nutrition information for saturated fat content. Not a reduced fat food. Ice cream doesn't need to act cool, it just is. Kinda like you. How's this for over the top! We start with a layer of strawberry then, we take it to another level by adding crunchy, graham pieces. But we don't stop there. 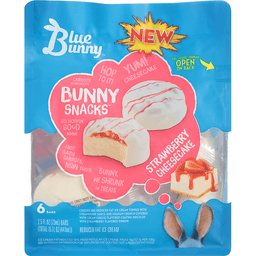 Next, it's in cream cheese candy coating and topped off with strawberry drizzle. It's truly one good thing on top of another. Here's the inside stuff! There's even more mmm in the middle every one is fun-filled with the creamiest, dreamiest cheesecake ice cream you've ever tasted. 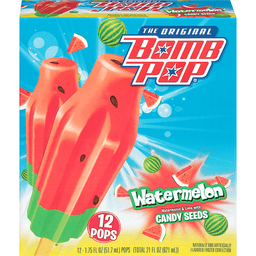 Seriously, this stuff is crazy good. Years & years with Bunny ears. Well since 1913. To be sold by pouch only. Contents are not marked for individual sale. Chocolate caramel cup candies, butter-roasted pecans and caramel sauce in our original vanilla ice cream. 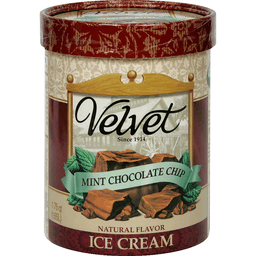 Pure mint and pure chocolate chips in our creamy mint ice cream. Natural flavor. 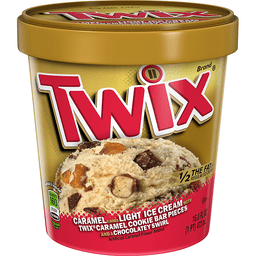 Twix® Brand Cookie Bars Caramel Ice Cream. What's inside. 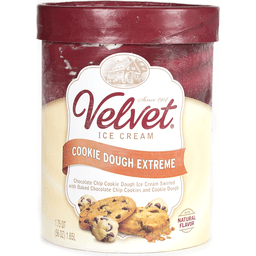 Calories 190, 10%DV per serving. 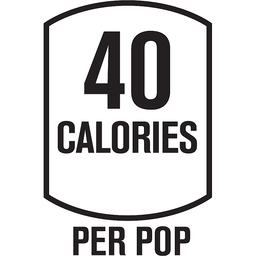 4 Servings per pint. Natural and Artificial Flavors. 16.0 fl oz (473 ml). 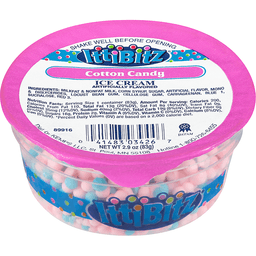 Real Ice Cream. Caramel ice cream, chopped Twix® Cookie Bars & fudge swirl. Enjoy Twix® Brand Cookie Bars in a totally different way - with a spoon. Dive into real caramel ice cream, loaded with Twix® Brand Cookie Bars, plus a yummy fudge swirl. 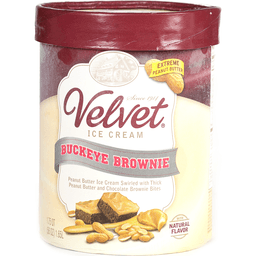 What's inside... per serving (about 4 serving per pint). Calories 190, 10%DV. Total Fat 10g, 15%DV. Sat Fat 6g, 30%DV. Sugars 18g. Sodium 80mg, 3%DV. GDA's Are Based On A 2,000 Calorie Diet. To learn more visit www.marshealthyliving.com. *No DV defined. We value your questions or comments. Call 1-800-551-0895. Please save the empty package. ®/™ trademarks ©Mars, Incorporated.